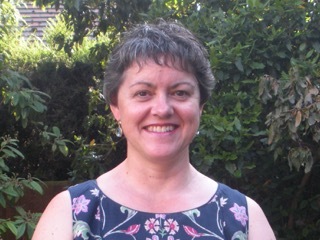 This week I am delighted to welcome Julie Stock back to my blog. Earlier this year, she wrote a guest post about creating the two very different settings for her debut novel, From Here To Nashville. Today she is going to share her writing tips with us. Hi Sue. Thanks for inviting me. It's an interesting topic! I've given it some thought and have come up with the top three that work for me. 1. When I'm writing a first draft, I try to write a minimum amount each day. If I am not under lots of pressure, I might make this 1,000 words a day, but if it's a busy time, I set my target to something more manageable. If I'm editing or rewriting, I find it much harder to get down to it because it's so much more involved! Still, I try to achieve something on my list of things to do every day. 2. After writing two novels, a novella and a number of short stories, I have realised I am a planner, not a pantster, and I will always want to outline and then plan to some extent. I'm not saying my way is right but I have learned that pantsing doesn't work for me. 3. I write using Scrivenor and nothing else! I love the layout and even though there is so much I still don't know about it, it makes my life so much easier as a writer. 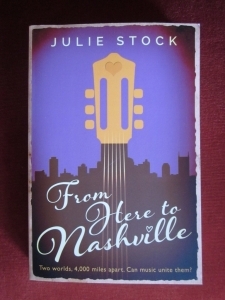 Julie Stock is an author of contemporary romance novels, novellas and short stories. She's a proud member of thr Romantic Novelists' Association's New Writers' Scheme and a member of The Alliance of Independent Authors. She blogs about her path to publication on her website, My Writing Life. Hi Jan, Sorry it has taken me a while to come back to you. Thank you for reading my tips. I know what you mean about not always managing it every day. It is hard. For example, I am unable to do any at the moment because I'm giving my first talk at a library tomorrow evening and it's all I can think about so the writing has dropped by the wayside! Also, I find I can either write or edit but not both at the same time - I hope I will be able to master this one day but not for the moment. I was interested to read your writing tips, Julie. The one about writing every day is a good one and when I do, I know the writing flows more easily. However, I often don't manage it I'm afraid. I'm enjoying the variety of advice given in the series. Thank you, Sue. Setting realistic word goals is an art in itself, isn't it, Jen. It must be achievable or else you're setting yourself up for failure, but at the same time, it must require effort. I hope your editing is going well. More useful advice in this series. Thank you, Julie. I echo setting a writing goal each day. The only problem? Frequently, I over-estimate what I can accomplish! I'm editing at the moment, and it always takes longer than I expect. Yes, maybe I'm unusual in that but because I don't stop to edit, when the words are flowing in that first draft, I find it absolutely exhilarating. I wake up in the night thinking about my plot and my characters and where to take things next. So when it comes to rewriting, I feel downright miserable about some of the things I have to change about the big picture because there's often so much work involved. I don't mind micro editing at all because that's easy, if tedious! Although I'm not a writer, I am enjoying this series about what works for different authors. I'm interested to see what you say, Julie, about re-writing and editing being harder to get stuck into. I would have thought that writing the first version/draft was the hardest part. I know that at times when I have set daily word count targets, it has worked well for me. I think the key is flexibility. As Julie says, if other areas of your life are particularly busy, you can adjust your target accordingly. Thanks for your comment, Wendy. Will you be setting daily targets from now on?! I think setting yourself a daily (manageable) writing target is very sensible - so why don't I do it!